We serve Lincolnshire, Buffalo Grove, Long Grove, Vernon Hills, Libertyville, Mundelein, Lake Forest, Bannockburn, Riverwoods, Deerfield, Highland Park and Northbrook, Illinois. THE STUDIO IS OPEN FOR CLASSES ON FRIDAY, APRIL 19, AND SATURDAY, APRIL 20! 2018/2019 SEASON ENDS ON MONDAY JUNE 3, 2019. 2019 SUMMER SESSION RUNS JULY 8- AUGUST 16 FOR 6 WEEKS. ONLINE REGISTRATION IS OPEN! 2019 RECITAL CLASS LISTINGS ARE POSTED ON OUR RECITAL PAGE! PERFORMANCE ORDERS & DRESS REHEARSAL SCHEDULES WILL BE POSTED APRIL 23! ADDITIONAL CLASSES ARE HELD AT THE LINCOLNSHIRE CLUB - 96 N. ELM ROAD LINCOLNSHIRE, ILLINOIS 60069. All class wear can be purchased through our online dance wear boutique! 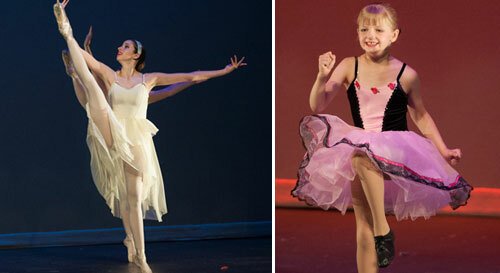 2019 RECITAL CLASS LISTINGS ARE NOW POSTED ON OUR RECITAL PAGE! PERFORMANCE ORDERS & DRESS REHEARSAL SCHEDULES WILL BE POSTED APRIL 18! PERFORMANCE ORDERS & DRESS REHEARSAL SCHEDULES WILL BE POSTED APRIL 17! Please click the link below to create your account or log in, register, view your payment history and balance, update your account or make a payment.